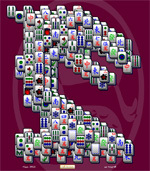 This game from Online Mahjong Solitaire.com may look easy, but don't let that fool you. 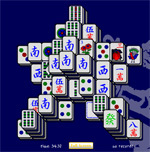 Online Gate Mahjong is a quick board but it will easily stump the best player. 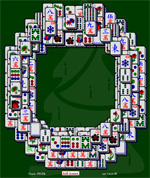 Beat this Gate Mahjong board by getting rid of all the tiles that match until there are no more. 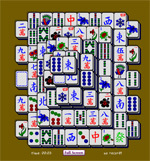 You will reveal the beautiful cherry blossom tree below the online mahjong tiles. Highlighted tiles are in play, and non-highlighted tiles are not available at the moment. Remove mahjong tiles from the right, left, and top to get to those hidden unplayable tiles!